Beautiful sign--how was the ale??? Nice capture of this colorful panel. What a great shot of this sign. I do love the design and colors of the sign too. Nice find! 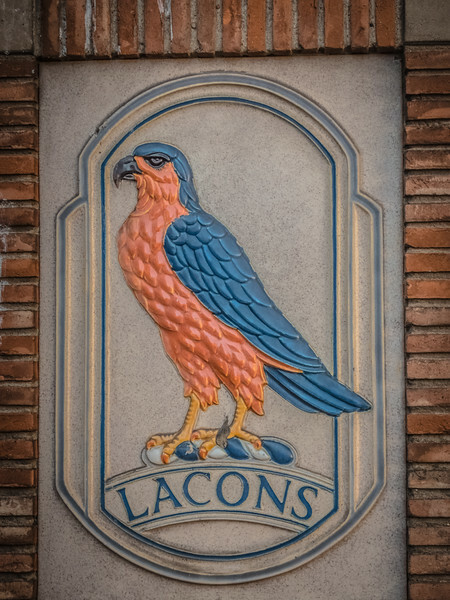 Good find; wonder what the relationship is between falcons and lacons? Nice art to add a touch of art to the surrounding bricks!